Testimony of best saller book. 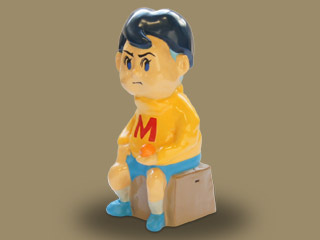 .Various related products were sold through the popularity of this art, since this art made an impact on the society. The DVD, straps, stickers, iphone application, season greeting cards, and piggy banks. 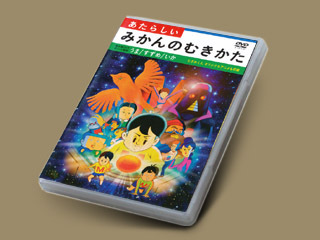 In the DVD, there is a 3 D explanation of how to draw the lines of a horse, a squid, and a sparrow through animation. Through this, it has become easier to draw the lines of the designs which were difficult to draw only by looking at the 6 angle photos. Besides that, the technique of Free Hands Quick Peeling is presented in the DVD. The main character of the content is Mukio. The story of his friends, the confrontation with the rival, and the parody adventure story of Star Wars. This work was made using the models that Mr. Okada made with the tiny tangerines, whose details are very elaborated and excellent even on the other side of the strap. 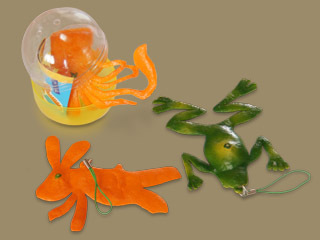 There are 5 types of the strap, dove, rabbit, mantis, squid, and frog. These products are sold in capsules in the vending machines called Gachapon. 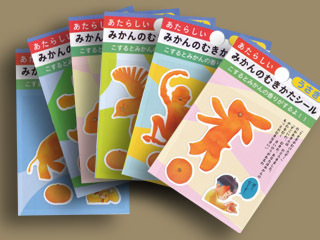 This is an input practice application with the theme of art works of ‘New Ways of peeling Tangerines’. 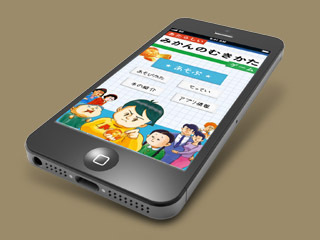 You can compete the speed of guessing and inputting the names of the art works.